Everyone mourns differently. When his older brother was killed, David got angry. As in, fist-meets- someone-else’s-face furious. But his parents? They got religious. David’s still figuring out his relationship with a higher power, but there’s one thing he does know for sure: The closer he gets to new-girl Bailey, the better, brighter, happier, more he feels. Then his parents start cutting all their worldly ties to prepare for the Rush, the divine moment when the faithful will be whisked off to Heaven…and they want David to do the same. David’s torn. There’s a big difference between living in the moment and giving up his best friend, varsity baseball, and Bailey—especially Bailey—in hope of salvation. An entertaining, albeit unimaginative novel for our December read that made complete sense once we realised this is, technically, aimed at the YA market. Many important topics to mull over; life, death, faith, coming of age but; is the quality of writing enough? Perhaps not for us 30 year olds but for our younger fellow readers? Absolutely. In the summer of 1959 Stella Raphael joins her psychiatrist husband, Max, at his new posting–a maximum-security hospital for the criminally insane. Beautiful and headstrong, Stella soon falls under the spell of Edgar Stark, a brilliant and magnetic sculptor who has been confined to the hospital for murdering his wife in a psychotic rage. But Stella’s knowledge of Edgar’s crime is no hindrance to the volcanic attraction that ensues–a passion that will consume Stella’s sanity and destroy her and the lives of those around her. A bleak, tense, thought-provoking read that provoked a considered discussion from the group. 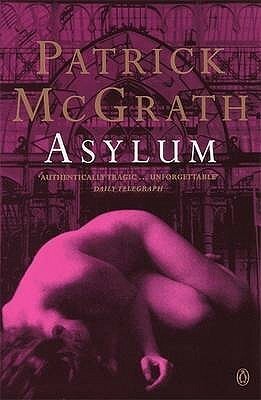 The murky world of the title’s asylum opened us up to the dark depths of an obsessive relationship, mired by precarious mental health. A brilliant read and the perfect book club choice. The team learnt that short stories, however enjoyable in our own personal reading, perhaps aren’t the thing for book club discussion; spanning simply too many characters and stories. Coupled with some relatively dull tales about some pretty ordinary people, it all proved rather boring really. After the death of his wife, Peter Byerly, a young antiquarian bookseller, relocates from the States to the English countryside, where he hopes to rediscover the joys of life through his passion for collection and restoring rare books. But when he opens an eighteenth-century study on Shakespeare forgeries, he is shocked to see a Victorian portrait strikingly similar to his own wife tumble out of its pages, and becomes obsessed with tracking down its origins. As he follows the trail back to the nineteenth century and then to Shakespeare’s time, Peter learns the truth about his own past and unearths a book that might prove that Shakespeare was indeed the author of all his plays. 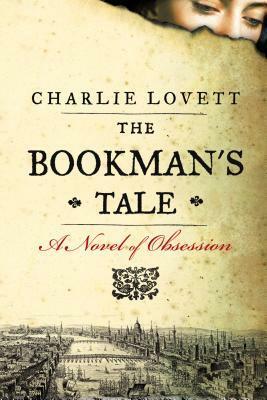 Guaranteed to capture the hearts of everyone who truly loves books and literature – in particular the golden age of Shakespeare, Jonson and Marlowe – The Bookman’s Tale is a sparking novel and an engrossing exploration of one of literature’s most tantalizing mysteries. The group had a good old giggle over this pseudo-intellectual murder mystery, courtesy of children’s author Charlie Lovett. Stereotypical characters and a fairly predictable narrative may have given us a good old laugh but this not dampen the sheer entertainment factor. A corny old yarn for some corny old booklovers. “All the Pretty Horses” is an acknowledged masterpiece and a grand love story: a novel about childhood passing, along with innocence and a vanished American age. Steeped in the wisdom that comes only from loss, it is a magnificent parable of responsibility, revenge and survival. All agree that lauding a book as ‘One of the Greatest American Novels of this or any time’ is a dangerous business. 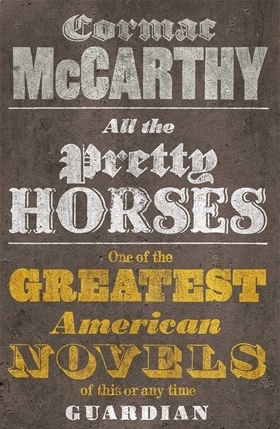 Although undoubtedly a modern classic of the very highest quality, the first installment of McCarthy’s ‘Borders trilogy fell short on it’s monotonous journeying and ‘slightly-too perfect’ hero John Grady. Cinematic this may be but please give us a hero to believe in. Summer 2011. Berlin. Adolf Hitler wakes up on a patch of ground, alive and well. Things have changed – no Eva Braun, no Nazi party, no war. Hitler barely recognises his beloved Fatherland, filled with immigrants and run by a woman. People certainly recognise him, though – as a brilliant, satirical impersonator who refuses to break character. The unthinkable, the inevitable, happens, and the ranting Hitler takes off, goes viral, becomes a YouTube star, gets his own TV show, becomes someone who people listen to. All while he’s still trying to convince people that yes, it really is him, and yes, he really means it. 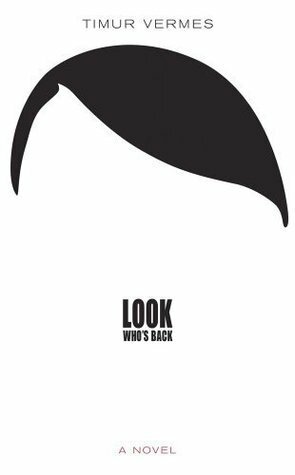 Look Who’s Back is a black and brilliant satire of modern media-bloated society, seen through the eyes of the Führer himself. Adolf is by turns repellent, sympathetic and hilarious, but always fascinating. Look Who’s Back is outrageously clever, outrageously funny – and outrageously plausible. A so-called satirical novel that promised much but sadly delivered a slice of boredom. In Germany, where using the Nazi salute is a criminal offence, no doubt that Vermes’ ‘Ali G’-style Hitler is coasting some fairly difficult waters. In the UK however, his clear skirting of some seriously uncomfortable subjects made for bland reading. Great cover though. 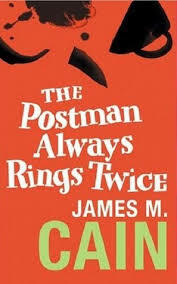 First published in 1934 and banned in Boston for its explosive mix of eroticism and violence, The Postman Always Rings Twice is a true classic and established James M. Cain as a major novelist. A short but and sweet classic perfect for the crime virgins among us, James M. Cain’s famous novel is fast-paced, vivid and hilarious. Though puzzling slightly over the choice of title (a metaphor perhaps?) the group were pleased as punch to read something truly entertaining to kick off the summer months. Dr Felix Hoenikker, one of the founding ‘fathers’ of the atomic bomb, has left a deadly legacy to humanity. For he is the inventor of ice-nine, a lethal chemical capable of freezing the entire planet. Writer Jonah’s search for its whereabouts leads him to Hoenikker’s three eccentric children, to an island republic in the Caribbean where the religion of Bokononism is practised, to love and to insanity. Told with deadpan humour and bitter irony, Kurt Vonnegut’s cult tale of global destruction is a funny and frightening satire on the end of the world and the madness of mankind. A slightly baffling though very entertaining satirical commentary on the stupidity of mankind from Vonnegut that drew a reasonably large crowd at this month’s book club. All-encompassing, thought-provoking and often hilarious, this was a general hit but perhaps failed to hit profounder depths with it’s rather cartoon-like characters. 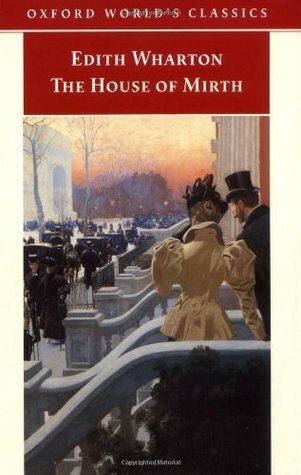 First published in 1905, The House of Mirth shocked the New York society it so deftly chronicles, portraying the moral, social, and economic restraints on a woman who dared to claim the privileges of marriage without assuming the responsibilities. Lily Bart, beautiful, witty, and sophisticated, is accepted by “old money” and courted by the growing tribe of nouveaux riches. But as she nears 30, her foothold becomes precarious; a poor girl with expensive tastes, she needs a husband to preserve her social standing and to maintain her life in the luxury she has come to expect. While many have sought her, something—fastidiousness or integrity—prevents her from making a “suitable” match. An unsurprisingly lacklustre response to Edith Wharton’s classic. Although fighting against 21st century attitudes, Lily Bart’s unconvincing performance left us still feeling a little doubtful and exhausted by her drawn out flirtations. Was it good to tick it off the ‘classics list’? Yes. Was it worth the time and effort? A resounding nope. 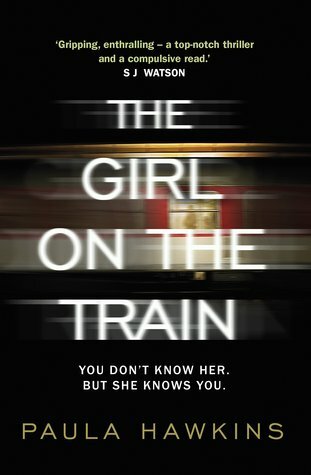 An unenthused response from the crowd towards this rather predictable debut novel that draws inevitable comparisons to other new releases. However this fast-paced, well-plotted novel provided some sorely needed entertainment. The general consensus? Just take this one for what it is and you’ll get along just fine. Drawing on his boyhood in a religious community in 1930s Harlem, he tells the story of young Johnny Grimes. Johnny is destined to become a preacher like his father, Gabriel, at the Temple of Fire Baptized, where the church swells with song and it is as if ‘the Holy Ghost were riding on the air’. But he feels only scalding hatred for Gabriel, whose fear and fanaticism make him cruelly abuse his family. Johnny vows that, for him, things will be different. This blazing tale is full of passion and guilt, of secret sinners and prayers singing on the wind. 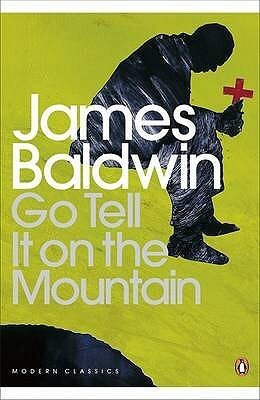 Whilst some found Baldwin’s intense debut novel to be incredibly moving and powerful, some found the heavy evangelism that saturates the book tiring to say the least. Flashbacks to a past of suppression and slavery appreciated, the obscurity of the ‘threshing floor’ not so much. Baldwin’s hatred for his father saturates this nevertheless absorbing novel. Launching into this Booker Prize contender with great enthusiasm, the group found a poignant, timely book full of heart, charting the tough teenage years of Japanese student Nao. 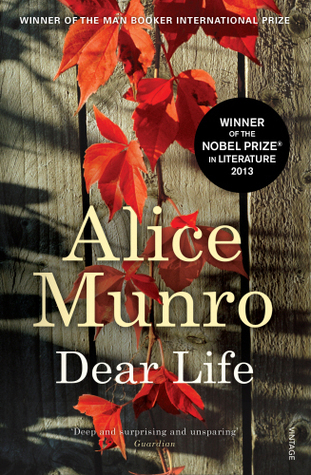 Ruth’s slow unraveling of the girl’s potentially tragic story left us both thoughtful and bewitched by the Japanese sense of ‘honour’.